A dog comes home with a bag in his mouth. Nothing in the world can prepare you for what’s inside. A small dog is surrounded by filth and chaos. But then he is able to do something wonderful, while saving a life. This is the stuff of stories that only life itself can provide. It is an honor to introduce Pui to you. This little mut spends his days on the streets of Thailand’s capital, Bangkok. One day he was searching for something to eat in a dump when he came across a white plastic bag. Pui noticed immediately that there was something strange about this bag. Cautiously, he freed the bag from the dump and carried it in his mouth back to his family’s house. There he barked until people came. A quiet whimpering eminated from the bag. 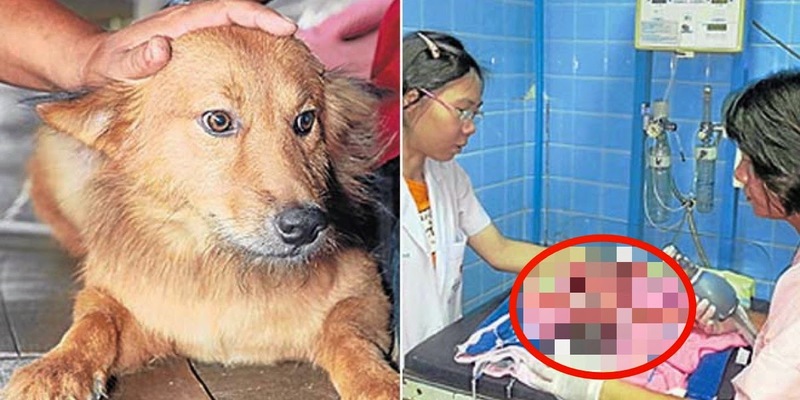 Those who had gathered were becoming increasingly horrified until Pui’s owner opened the bag and revealed a newborn baby. The baby had clearly been born prematurely. His body was very fragile, so they took him home immediately, wrapping him in blankets before calling the ambulance. The ambulance arrived in the knick of time. The baby weighed less than 5 pounds, a result of horrible undernourishment. When he arrived at the hospital he was fed through an IV before the hospital staff began searching for his irresponsible mother. But most importantly: the little baby survived! Pui was the whole city’s hero. Everyone was proud of the little savior. A news team even came to film him and report on his miraculous rescue. 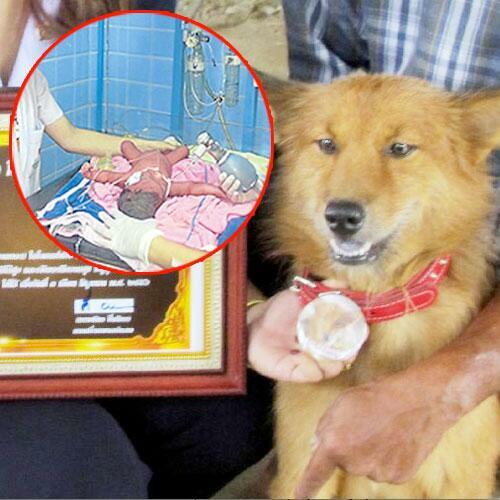 In a festive ceremony, Pui was given a collar with a small medal. His family also received a small reward of about 300 dollars. The money was desperately needed so they thankfully accepted. But Pui was clearly the center of attention. A truly remarkable dog! The respect I feel for this animal is simply indescribable. I am unable to, and unwilling, to imagine what would have happened if Pui had not acted so quickly and cleverly. 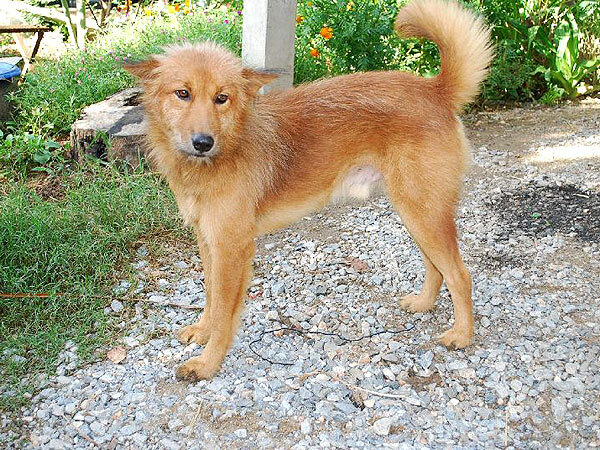 Share this story of Pui, the life saver!